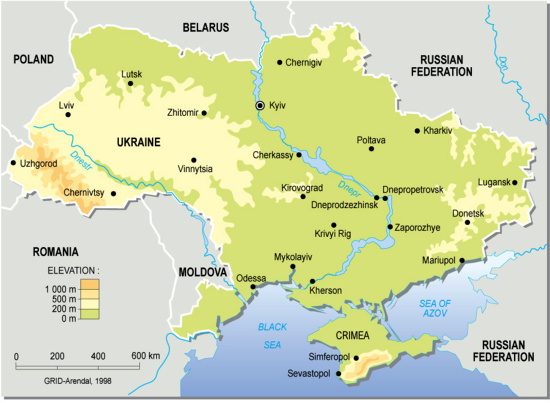 Ukraine is located in Eastern Europe, bordering the Black Sea, between Poland, Romania, and Moldova in the west and Russia in the east, comprising of 603,700 sq km. 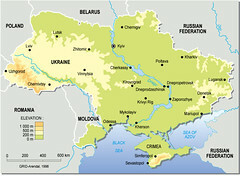 It has a population of 47,425,336 (2005). Major environmental concerns are: inadequate supplies of potable water; air and water pollution; deforestation; radiation contamination in the northeast from 1986 accident at Chernobyl Nuclear Power Plant.